We strive to create an ambiance for each wedding that solely reflects our clients individuality and we set out not only to meet our clients expectations but to exceed them. Whether you desire a small and intimate day or a celebration with hundreds of your closest friends, Blue Orchid Weddings’ attends to your every need, keeps you on budget, recommend the appropriate vendors, and helps you create the wedding you have always dreamed of. Norfolk Village Weddings 3 complete packages 3 price's £5,500 £7,500 & £9,500 A team of 25 Wedding Professionals working for you! Our party planning team, specialises in luxury weddings in London and abroad creating outstanding, bespoke events from weddings to private parties and Bar Mitzvahs. the Destination wedding in Goa of Beaches are very Famous because there are many more wedding and events are established in near Beach with full enjoyment. A Parisien wedding planner which organizes prestigious weddings in Paris and across France. A bilingual team located in the city of romance at your service. Debut Events is both an event management company, and a party planning resource - designed to help you organise your event in whole, or in part. Star Sapphire Weddings and Events help to organise your perfect day, they're currently offering reduced rates for a limited time, get in touch for a free consultation! Planning a big event can be stressful and time-consuming. Working closely with you, our personal approach ensures your event is planned with creativity, discretion and confidence. Happily Ever After – Weddings in Lindos are dedicated to creating your perfect wedding day, no request to large, no detail too small. We specialise in designing & planning luxury 5* weddings which fulfil & exceed your every wish. Limited by only budget and imagination. I can offer a personalised Wedding Ceremony in a place of your choice. An Oxford Affair create unforgettable celebrations. Focusing on independent local businesses to offer unique & enjoyable bespoke Weddings and Events. London's modern wedding planner. Specialising in inventive, rustic and elegant weddings across London. Your vision, our expertise, in creating your unique outdoor celebration. Independent Yorkshire based wedding planner, specialising in creating beautiful outdoor celebrations. Mr Flavour are the UK leaders in providing high quality bespoke mobile bars, we have various styles and all units are modular, so they can be built into any shape or placement. Wedding and Event Planning services throughout the South East of England. Working alongside you we will create the perfect day. Portugal Destination Planner. we will plan, design and organise your wedding or marriage proposal form the start to the happy day. Classica Weddings in Spain are friendly, caring wedding planners based in Southern Andalucia. We have experience of planning weddings in this region of Spain. Italian Style Weddings are a team of expert wedding planners who specialise in creating memorable and unique weddings for couple’s getting married in Italy. Always & Forever Weddings specialise in the coordinating of your wedding day. We can customise a package to suit your budget and needs. Call us to arrange your free consultation. Bespoke wedding planning services by Penny Davis - Editor of the Every Avenue Weddings Magazine. Covering Devon & Cornwall. A wealth of knowledge from within the wedding industry. We give you a cheaper alternative to a wedding planner. Helping you to find suppliers, provide inspiration, guiding you throughout the wedding plans and much more! One stop wedding shop for UK Brides & Groom in Surrey. Wedding dresses, Men's Suits hire, Wedding photography, flowers,creative design & wedding packages. Wedding & Event , Venue Dresser, Silk Florist & wedding advisor. Here for all your Big Day needs! Marbella in Style puts at your disposal a passionate team of professional wedding planners that will make your wedding day the experience you two have always dreamed of. For all your wedding needs to make your special day sparkle! Events and Wedding planner, in the south west of England, I offer 3 main wedding package ranging from £800-£2500 I also have smaller single packages. to offer. Absolute Perfection is a leading London wedding consultancy specialising in creating bespoke, stylish and exceptional weddings worldwide. Behind the Scenes can help with any aspect of planning or managing your day. Full wedding planning, on the day management, venue styling and decoration hire. Friendly wedding planner based in Manchester & Cheshire, Tailor made services to your requirements. *FREE* initial, no obligation consultation. I aim to make your dream wedding. Hire an Usher | Day-Of Coordinator | Virtual Usher Looking for a professional usher, groomsman or even a best man? Do you want to get married in ITALY? Amalfi, Positano and Ravello offer a fairytale setting for your wedding Amalfi Wedding ... and the fairytale becomes reality. I am a wedding & events planner based in Northamptonshire. I offer a variety of bespoke packages to suit all your wedding and event needs. I offer a free initial consultation . Bespoke Wedding Design, Planning Service and Handmade Stationery. From intimate ceremonies to large lavish weddings, a wedding designed by Tanya Tabitha will be beautiful, unique and unforgettable. We turn your vision into reality. The Perfect Wedding Company is your bespoke, free wedding creation service making your day extra special and looking after all the details that matter. Bedazzled Events plans and creates unforgettable weddings. Our dedicated team of event managers, designers and entertainers will help turn your dream event into a reality. At Daysbrook Weddings we offer an affordable Wedding Planning service that is second to none. We help design and plan your perfect day, in the process saving you time and money. Wedding Planners Guild UK provides professional wedding planning courses across the UK including comprehensive training, seminars, workshops, regional meetings and study trips. Champagne & Sparkles is your go-to Wedding Planner, we specialise in planning and management of all areas of your wedding. Billington Events are always here to help you plan your wedding to make sure it is the most memorable day of your life. Limelight Entertainment - A Wedding & Event Team You Can Trust. Event Affairs is wedding co-ordination company in South Africa.We offer Full Wedding Co-ordination services as well as On-the-day Co-ordination services to suit your special needs. Based in Bridgwater in the heart of Somerset we are a friendly and professional Weddings and Events planning company. For couples planning the wedding in Poland, we offer comprehensive services of preparation and realization of both the marriage ceremony and the wedding party. From the private entrance with a red carpet welcome you can be greeted by your guests with a glass of chilled champagne and then dine on a sumptuous menu of your choice. Wedding Planning & Events services based in Buckinghamshire and serving Beds, Berks, Herts and Oxon. Ardley Weddings & Events Ltd are affordable Wedding Planners Using our services does not mean another bill on top of your wedding expenses. We cater for all budgets. Wedding Theatre can help you achieve the Wedding of your dreams. We provide bespoke wedding design and management and beautiful venue dressing. Experts wedding planners in Asian & Indian wedding decor, mandap hire, and Asian wedding stage hire with a collective 15 years’ experience. We offer a personal & bespoke wedding planning service to suit any couple & budget. Our tailored approach allows you to sit back, relax & enjoy it with your guests. We are experts at making overseas weddings personal & special. We specialise in Italian, Greek and Balearic Islands weddings & can plan dream days at a number of glamorous venues. We are a bespoke events and wedding management company. We cater for all budgets, tastes and cultures. Taylor-Made Weddings UK are friendly experts catering for budgets large or small. Offering affordable quality weddings. A bespoke wedding concierge service, helping to plan and create distinctive and stylish weddings for discerning couples across the UK. Premier Banqueting London is proud to have a dedicated team of professional and experienced event managers to assist you with your specific requirements. The Creative Events Wedding Planning team are dedicated to creating a bespoke wedding theme which compliments your unique style. Dream Day Events NI are here to help you plan and coordinate your very special big day. So whatever your budget and whatever the size, look no further than Dream Day Events. Award winning Recherché Signature Weddings and events plans and designs your dream event, where the only limitations are your budget and imagination. Egis cater and mobile bar is a boutique catering company specialising in producing innovative and creative food for unique and epic events. PLANS AND PRESENTS is a Glasgow based business providing professional, high quality Wedding and Event planning services. An affordable reassurance that will save you time, money and stress. At Happy Matrimoney, we help couples to negotiate discounts and save money on quotes given by their suppliers. If you don't save, we don't get paid! Besopke wedding planning. Our relationships with suppliers enable us to negotiate discounts which can be passed onto you therefore you may find that we don’t just save you time & effort, we also save you money. Follow us on Twitter for venues and dates for all our Midlands Mr and Mrs Wedding Shows. @mrandmrsshows or you can email us for more information and also visit us on Facebook. Bespoke... is a prestigious wedding planning and events company in the North East. As well as this we supply,chair covers,photography,cakes, cars,balloons and entertainment. Orchid Events are highly skilled professional wedding planners based in London. Our planning team specialises in luxury weddings in London and abroad, creating bespoke events. We are curators of unique and bespoke days for the couple that wants to have a personable, memorable and achievable wedding or event. We are Wedding Planners and Function Organisers. We cover all Events. From the very beginning to the very end we are meticulous in detail to make sure that you have the day of your dreams. We are a One-Stop-Shop and offer Package Deals. We are a wedding planning business based in Chester. We can cater to all individual needs and can create bespoke packages to suit you. Everything a couple need for their wedding day, from best man gifts to advice and inspiration! We are a unique and bespoke wedding planning service providing a tailored made wedding just for you! We pride ourselves on the extra special touches...creating your dream. Lilac Ice are here to make your special day sparkle! With a fully qualified wedding planner to make your dreams a reality. Book a free no obligation consultation now. Creating dreams & magical moments takes passion, determination, special care & expertise. We have been creating those moments for our beautiful couples for over 12 years. Our themed wedding service creates a sophisticated wedding with a unique twist. 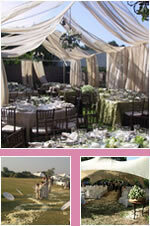 High shape Events is a regard winning miami wedding organizer and occasion facilitator firm in Florida/FL. Event & Fashion Styling for unique and utterly unforgettable weddings. Ensuring your wedding journey is exactly as it should be - fun and enjoyable from start to finish. Occasion Angel can create enjoyable events for a life long memory to mark important dates in your life,creating your vision into reality,reflecting your style and personality. Covering the Hampshire, Berkshire, Surrey area we are here to plan your wedding in full or part and offer on the day coordination. We are bespoke planners making your day perfect. Wedding Box makes planning your wedding simple, with the chance to buy and sell preowned wedding items. Find all your wedding needs today. We offer a full event planning service, specialising in creating themed events with the use of creative decor ideas. I am a wedding planner. I am passionate about weddings and will work tirelessly to ensure that you have the wedding of your dreams. Love Vintage? Love Tea? Herts Vintage China Has a stunning list of vintage treasures to Hire. Vintage Carts Vintage China Vintage everything! Nottingham’s newest boutique hotel, The Residence offer 18 stylish bedrooms that have been individually designed. My Day agency specialist for your Wedding in Montenegro! Say I Do Wedding Fayres - Wedding Fayre organisers throughout the West Midlands, Shropshire & Worcestershire. Visit our wedding fayres to plan your wedding easily & stress-free! Birtsmorton Court is a stunning medieval moated manor house – the perfect wedding venues in Worcestershire and Gloucestershire – near Malvern, UK. Bespoke wedding coordination for the day of your dreams. Also offering vintage and contemporary hire, beautiful handmade decorations, bunting, candy bars and much much more! I Do Privilege Card is an exclusive Yorkshire based members club, specifically designed to provide our brides & grooms with pre-negotiated discounts, offers and privileges. A bespoke service, offering a truly personal service, creating stylish, breathtaking, one-of-a-kind weddings with the flexibility to choose the level of support you really need. Resorts, Resort, Hotel, Wedding Venue, Event Venue. I am a qualified International Wedding Planning Professional and endeavour to save you time, money and stress whilst working closely with you to create your dream wedding day. We strive to transform your dreams into reality surpassing your expectations and leaving you with cherished memories for the rest of your life together. We are an Events Planning company who work throughout Suffolk, Essex and East Anlgia. Our frinedly, stress free and affordable service is designed to save you time and money. With a great list of local suppliers, negotiating skills and knowledge of the Scottish market, they will to help secure your dream venue and of course your chosen date. Amulet Weddings & Events offer bespoke management packages personally tailored to your individual needs. Working in Lincolnshire, Northamptonshire, Cambridgeshire & abroad. Alternative wedding planner based in the heart of south Wales with a passion for helping couples create unique, inspiring, sustainable weddings in this wildly beautiful landscape. Professional wedding planner based in Algarve will help you to plan the best day of your life!Each couple is attended individually, as each wedding is unique! Helping couples plan their perfect wedding day. Tailoring services to suit you and your lifestyle. Event Management business with high standards of service. We will only settle for perfection when it comes to our organisation of an event. A uniquely personal boutique wedding consultancy. Authenticity & a genuine affinity with our clients allow us to create celebrations that are romantic, fresh & magical. We understand the importance of getting the right planner for your day. With us to can be rest assured that everything will be done to the highest of standards. Luxury Wedding Event is a great wedding planer in France. More information, in our website. The company provides top to bottom marquee services as well as gourmet meals. Unique weddings in Amazing Portugal Providing a variety of wedding planning services, we guarantee you a stress-free engagement and a wedding that will be a...Dreamday. I am a wedding & events planner based in Kettering, Northamptonshire. I offer a variety of bespoke packages and the initial consultation is FREE. Trained for two years through The UKAWEP.Events for interesting & unique couples.Top chefs, street food, fairground rides, sports cars or acrobats, anything is possible! Where to get bridal shower ideas? The shamok presents online portal to get all the information related to your wedding management like wedding planner, bridal accessories etc. We will help to organise your perfect wedding, please get in touch for a free no obligation consultation! Royalties Events has become established as a team of leading wedding planners for bespoke events creating some of the most memorable weddings of our time. We’re Mike Staff Productions. A four service wedding company: DJ, Photography, HD Videography and Uplighting. Wedding and special event planning services "One & Only" specializes in arranging all aspects relating to your wedding day in Tuscany and Italy. We offer the best Backdrops and Asian weddings stages, contempory candle wall, crystal backdrops and wedding stages in Birmingham. Belle et Jolie are wedding and event planners of expertise. We offer a range of packages to suit all budgets. We cover London, Essex, Surrey and Kent. We look forward to giving you a beautiful and pretty wedding. Wedding venue supplies - everything you need to create your perfect day! As your wedding planner I have 4 amazing wedding packages to offer you around the world. I can also help with wedding receptions in the UK, first dance/flash mob choreography. Lifestyle Catering & Event Catering for events in Mallorca since 1999. Established in 2002, Stylish Events is one of London’s longest running, independent, luxury wedding planning and event management companies. A new wedding store in Strood. all our dresses are designed in store by the shop owner. bespoke gowns and wedding packages to suit every one. come and take a look. We provide top quality wedding packages supplied by Your Perfect Day UK from, chauffered wedding cars, wedding cakes to wedding hair & beauty services. If you want to get married abroad, but stay close to home, why not try Jersey. Sapphire Events has packages for all budgets and will help you as much or as little as you like. Let London party planners Scarlet Events create a bespoke celebration for your wedding. We will create a stunningly unique event & will take care of every beautiful detail for you. On the day wedding co-ordination. Need someone to make sure your day runs smoothly so you can enjoy every minute? Give Emma a call and discuss how she can help you. Amanda Alexander is unique because we combine tradition with modern technology. We film and broadcast our clients wedding through live video content using multi cameras. Platinum Butterfly offers a range of professional services to help you create, plan and coordinate the wedding day of your dreams. Tie the Knot in Santorini is a boutique event planning and design company based in Santorini, Greece. Bali Wedding Planners, Jody Q Weddings, is a team of professional and experienced Wedding Planners specialising in creating beautiful and bespoke Bali Weddings. London based wedding planner Lester Gethings is known for creating stylishly, lavish and unique weddings. Forget-Me-Not Events is focused on providing high-quality service and customer satisfaction - I will do everything I can to meet and exceed your expectations. We specialise in organising bespoke destination weddings in France, Italy, Ireland, Northern Ireland and Germany , as well as packages for small weddings and Elopements in Ireland. Bespoke wedding and event planning for London and the South East. We can be involved at any stage of your preparations, and tailor our services to your individual requirements. Wedding Planner in Mallorca. On your most important day, FAB events LAB will design every detail to make sure you have the perfect wedding you have always dreamed of. Buy & book everything for your perfect day from over 150 of the South East’s finest wedding suppliers and experts. My help with co-ordinating your wedding plans, taking the strain of liaising with suppliers, venue etc. I can offer basic help right through to a full planning service. Carriages is a luxury weddings and events consultancy dedicated to creating and executing memorable events. A Wedding Planning company with a fresh take on Weddings. With an Advanced Diploma in Wedding Planning Charlotte ensures your wedding captures your couple's personality. Planning a wedding can be time consuming and stressful,that's where we come in!We specialise in making your vision come alive.Contact us for a complimentary consultation. At Elegant Events we work with you, as much or as little as you need, to create a beautiful, stress free day, saving you the endless hours involved in planning a wedding. Firebird Events are an event management company that provides stunning weddings that includes wedding planning, production, lighting, decor, entertainment, cabaret and much more. Our wedding planning service offers packages to suit all sizes of wedding & budget. We aim to take away stress, save you money so that you can relax and enjoy your day. The reliable, efficient organization that stages special occasions just for you. We provide everything. To ensure those incredible memories Keep Happening; we present you with a personalized photobook following the event. Araby & Eveline are London based wedding planners offering a uniquely personalised and bespoke approach to wedding planning with a creative twist. The Wedding Co-ordinator is a one stop shop for all your wedding needs! We cater for the whole process from the Hen & Stag parties right through to the honeymoon. Banqueting Halls: We have experience in hosting all types of events, to name a few: Asian Weddings, Events and Parties in Middlesex, Harrow and West London. Haute Couture Events ranks at the top among the best Wedding and Event planners in Miami Beach, FL. I am an independent wedding planner; able to work as your wedding designer, wedding planner or coordinator to produce your unique day. Cherished Love Weddings are accredited by ICOES in Wedding Planning who focus on Service Excellence and Commitment to Quality when it is needed the most. We supply event production and audio visual equipment to our customers that are located in the UK and throughout the rest of Europe. Are you planning a dream wedding on one the most photographed beaches in the world. Contact Mariyaz Kreole, your personal wedding planner in Seychelles. Wedding Forward is a source of inspiration for modern & beautiful brides. From photos of weddings, fashion ideas, DIY tips and everything for wedding planning. Our bespoke wedding and event designs are high impact, completely unique and always creative yet stylish. We are everything you need for your perfect wedding or event. Wedding and event design . From inspiration sessions and advice to fullscale planning styling and co-ordination. Bespoke Weddings run Competitions & Exclusive Offers with the leading Venues & Suppliers across the UK, to enable couples to achieve their Dream Wedding, within their Budget. 1SW Events are award winning specialist Indian & Asian wedding planners, providing services including mandap decorations, wedding stage hire and mehndi stages. Wedding planners covering East Anglia, helping couples with every budget get their dream day! We believe each occasion is as unique as you are, and whilst we provide the technical skills, the experience and the support, we also make sure your style shines through. Whether you require a Full Planning service from the start or just simply want us to help along the way, we can supply the perfect package for you. Based in France, International Wedding Institute trains students to become Wedding Planners and/or Designers whilst preparing them to start up and maintain their own business. Slingshot Entertainment provides you a modern and traditional platform to choose from for your intimate gatherings, weddings, corporate events, etc. On-Point Events is a boutique that provides a multitude of weddings and event services and designs. We transform every client aesthetic into sophisticated events. Tent Rentals in Hartford CT is proud to serve Northern CT residents with top quality rental units for parties and events. Weddings don't have to cost a fortune-let us help plan your dream wedding whether you want to spend £10,000 or £100,000! Top wedding photographers in USA, UK, Canada, Caribbean. Live Lime Records Photography is for those who want the absolute best for their wedding day. Our Wedding planning & Events Company plan weddings giving every couple their dream day. We also host shows & workshops giving couples an all round planning experience. Epic Weddings is a Conceptual Wedding Planner and Event Designer identified by their swank weddings and elegant events. Abbey Weddings are based in Romford Essex supplying wedding photography, videos, cars and DJs full time in unbeatable packages since 1989. We help couples plan their wedding in Italy, Abruzzo.We will listen to your thoughts and ideas to express your style, passion, values and personality. We’re wedding professionals helping you build your dream day. From searching for your dream suppliers to managing your wedding timeline, it can all be done from orchidbride.com. Magpie Event Planning is a wedding planning business specialising in themes. Their services include full planning, partial planning and more. Bespoke Wedding Coordination Service offering planning from Engagement to Honeymoon via your Big Day with as much or as little assistance as required. No obligation quotations.